This morning, delegates interested in the judicial system attended a legal school of instruction. 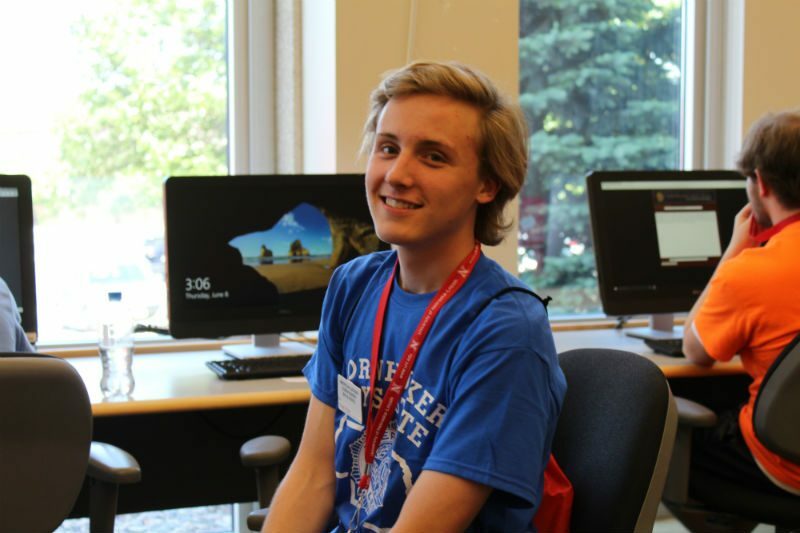 Now, the hands on experience begins. 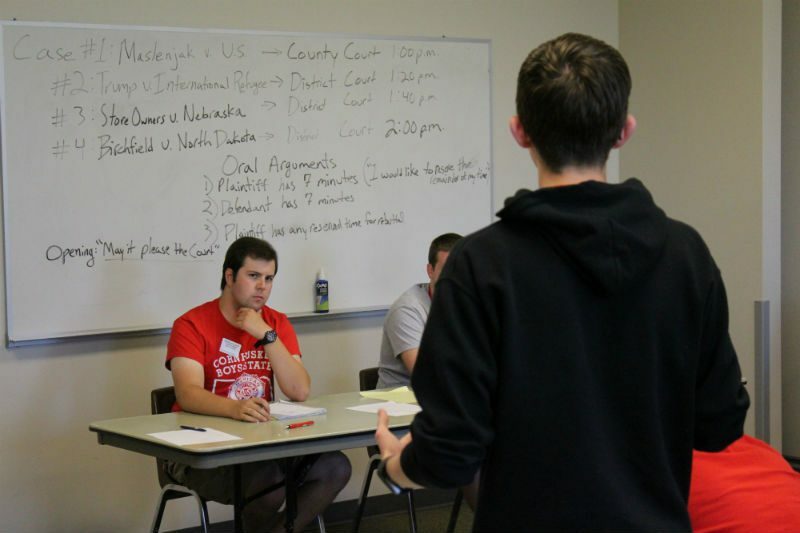 Delegates argue cases and engage in mock trial simulations. 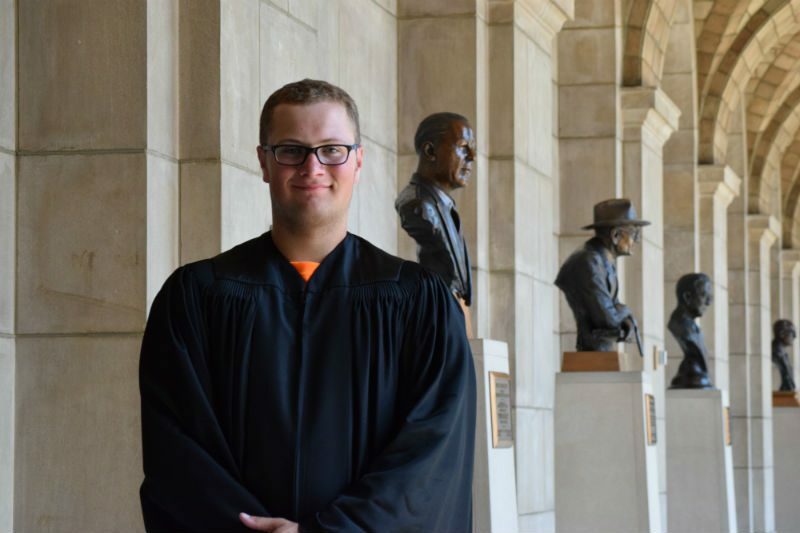 Later in the week, delegates will have the opportunity to be appointed to the Cornhusker Boys State Supreme Court. They will hear cases in the actual Supreme Court chambers at the capitol. 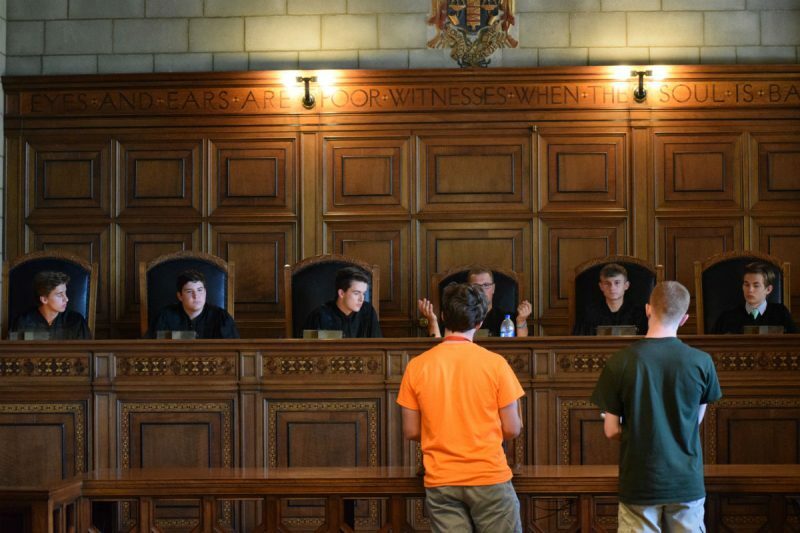 The Cornhusker Boys’ State Supreme Court was in session in the Nebraska State Supreme Courtroom at the State Capitol. 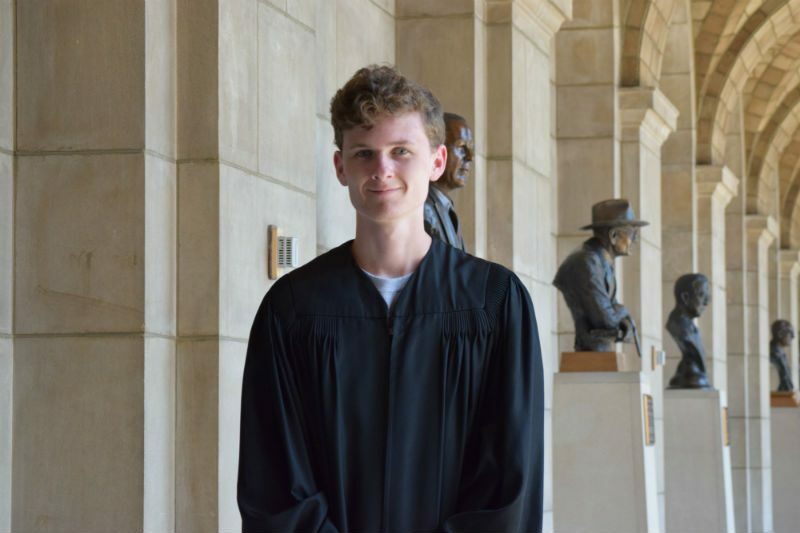 In order to become a member of the judiciary, a CBS citizen must generally be appointed by the sitting Boys’ State Governor. Citizens seeking a judicial appointment to either the Supreme Court or one of the two District Courts must appear before a nominating committee, typically comprised of each pair of candidates (Nationalist and Federalist) for high political office who survive the primary election. The nominating committee forwards it recommendations to the Governor for final appointment. 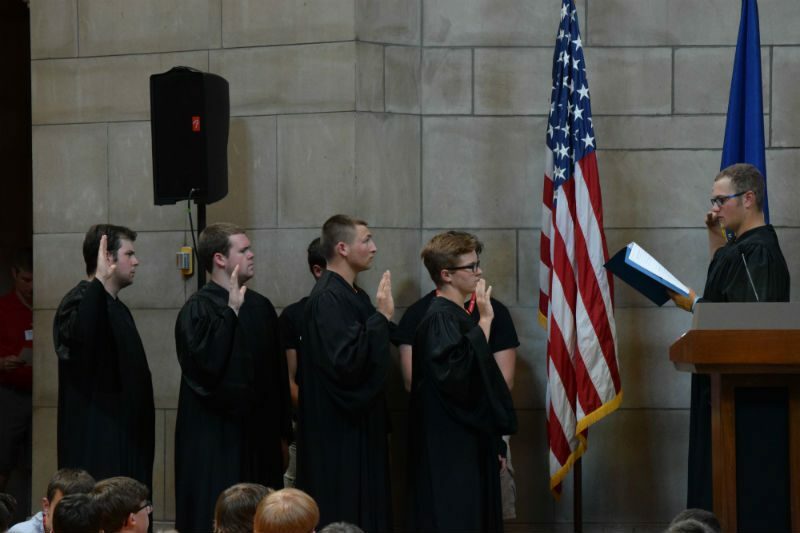 Once appointed, members of the judiciary are formally sworn-in by a member of the Nebraska Supreme Court. 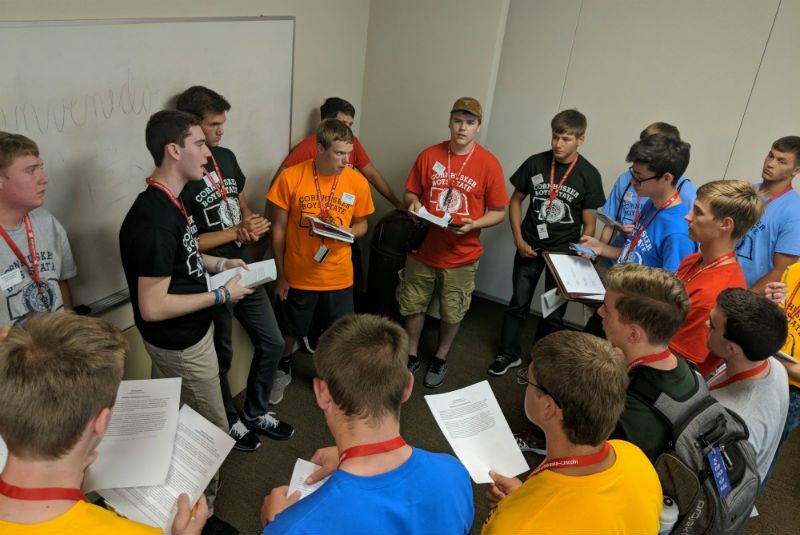 In addition, the Cornhusker Boys’ State Supreme Court traditionally participates in a mock case within the dignified courtroom of the Nebraska Supreme Court. After a morning session including an explanation of the opportunities in a legal career, the judicial candidates finally got down to brass tacks, or in this case, white powder. The group was divided into four sections, and each was given a primary briefing of the case on which they would participate. The basic facts of the crime presented were that three criminals conspired in an attempt to sell a kilogram of cocaine. After being arrested, they faced time in prison ranging from six to thirty years depending on their previous crimes, misdemeanors, and felonies. The mock defense attorneys’ job was to negotiate a plea deal that would result in the least amount of jail time as possible. The prosecuting attorneys’ job, however, was the exact opposite; their goal was to get the most amount of jail time for the criminals as possible. After a description of the goals, one mock attorney from each of the four groups joined into a trail group to negotiate sentences. The final sentences ranged from no time served to thirty years in prison, a true representation of the actual ranges of real-life crimes.